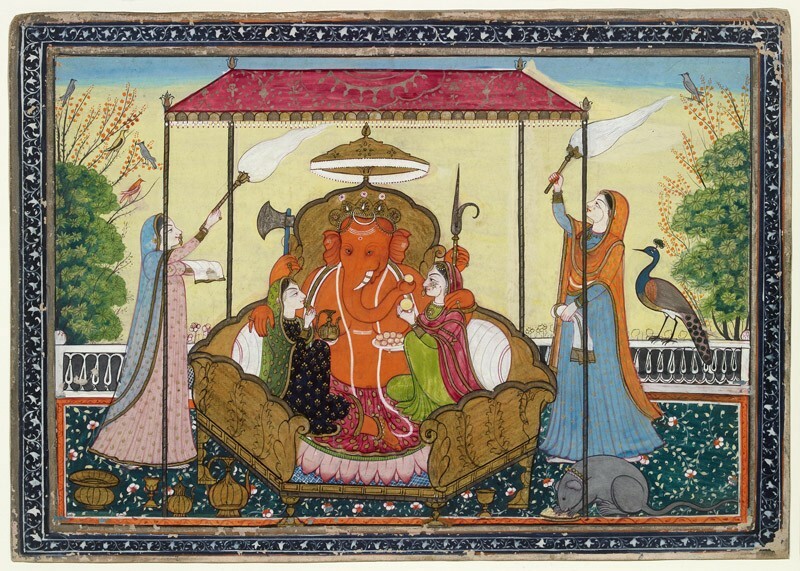 The Museum has recently been given a rich and unusual collection of Indian paintings, drawings and manuscript pages dating from the 15th to 19th centuries. 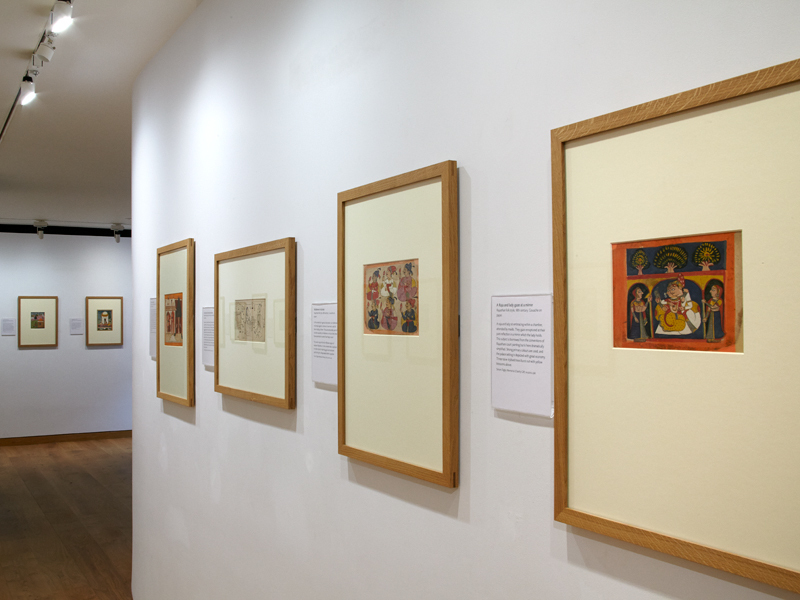 The collection was formed over many years by Simon Digby (1932-2010), a distinguished historian of India and a former Ashmolean curator in the 1970s. Born in India as a child of the Raj, Simon Digby later spent long periods there in study and travel. He was also a lifelong frequenter of auction houses and antique dealers, and he assembled notable collections of Indian metalwork and sculpture. 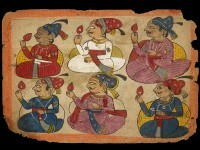 The Digby paintings collection includes illustrated manuscript pages and other works from the courts of Rajasthan, Central India, the Punjab Hills and the Deccan, as well as from the Jain monasteries of Western India. More unusually, folk and bazaar paintings from those regions are also well represented. Although less refined in style, such works can at their best be vigorously expressive in their bold simplifications of line and colour. 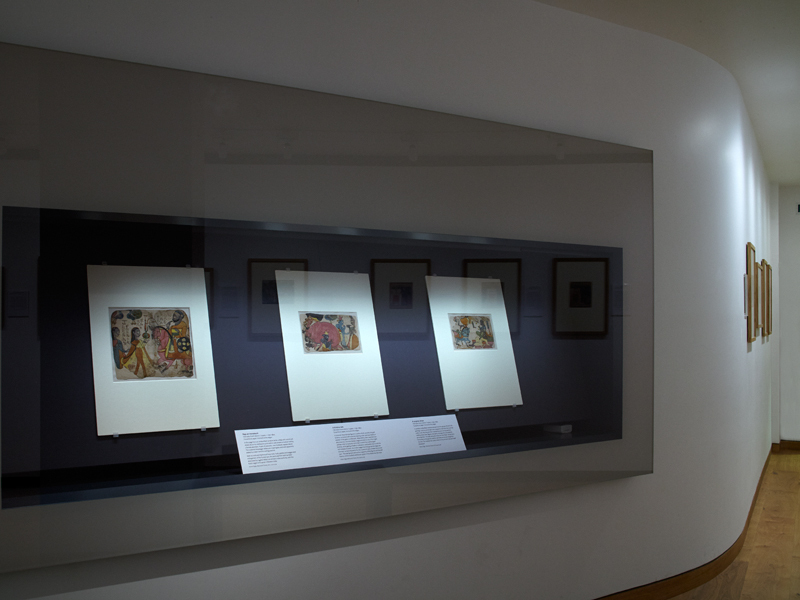 This initial selection from the extensive Digby Collection mainly includes paintings in Rajput court styles and folk paintings from Western India. Eastern Art Online presents an online version of the exhibition Indian Paintings from the Simon Digby Collection on display in the Ashmolean’s Eastern Art Paintings gallery. It enables visitors to browse and search all exhibition objects and their high-quality zoomable images. Eastern Art Paintings Gallery - Indian Paintings from the Simon Digby Collection, east wall. Eastern Art Paintings Gallery - Indian Paintings from the Simon Digby Collection exhibition case. 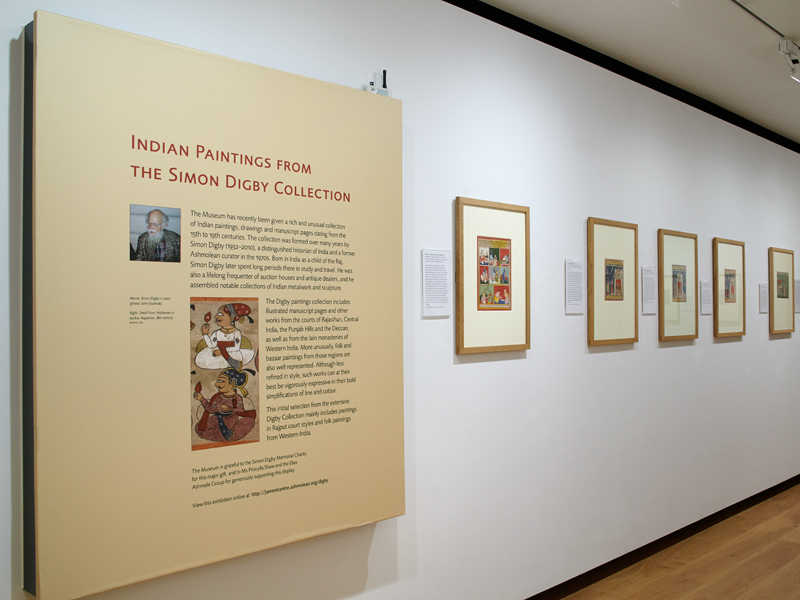 Eastern Art Paintings Gallery - Indian Paintings from the Simon Digby Collection, west wall.